You like free, don't you? 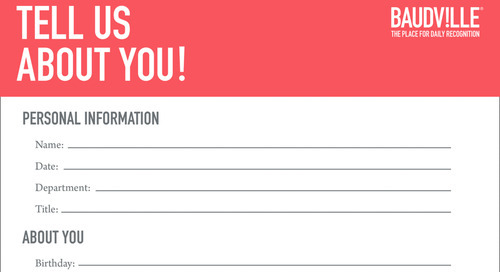 Get employee recognition tools, guidelines, checklists, and surveys absolutely free! Celebrate their happy days by downloading and printing these festive party hats! 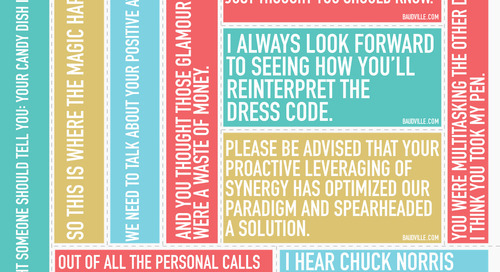 The power of daily recognition—download these fun notes and post around the office! Send a Free ePraise card! 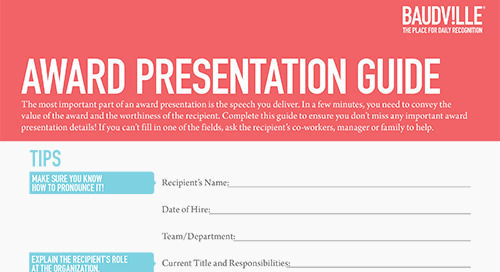 Helpful guide ensures you don't miss any important award presentation details! 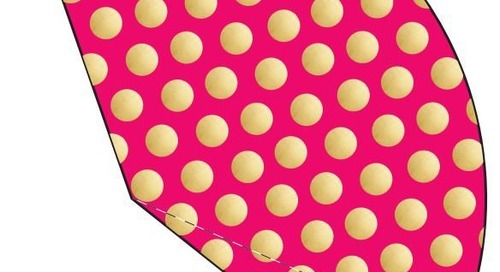 Hand out compliments throughout your team and organization with fun cut-outs! 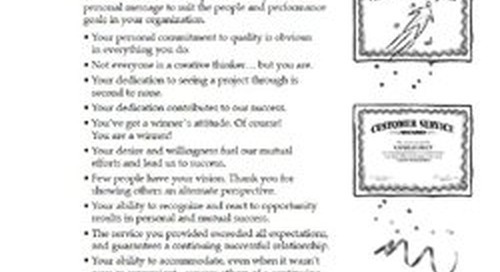 Give effective recognition by knowing how your employees want to be recognized. Decrease Customer Service Turnover with Our FREE eBook! Never go "blank" when it's time to recognize again! 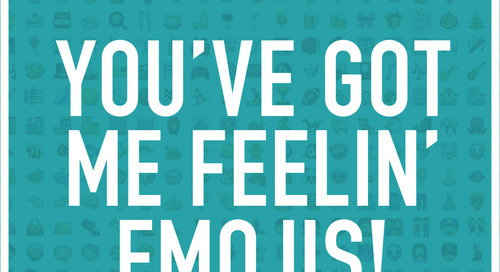 Tear off these fun emoji-themed tags to spread some mojo around the office! 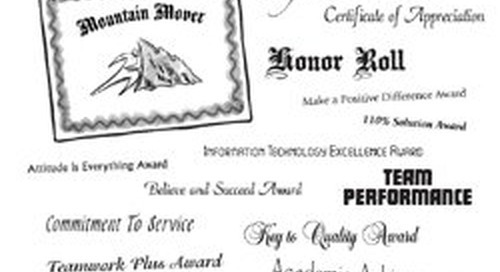 Create memorable award certificates with these helpful words! 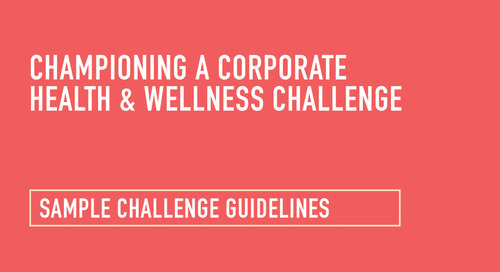 Follow our guidelines to start a health and wellness program in your office! Keep track of your daily points with this helpful sample tracking sheet. 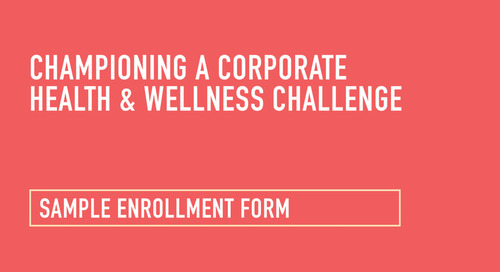 A sample enrollment form will help you get ready to start your health and wellness challenge! 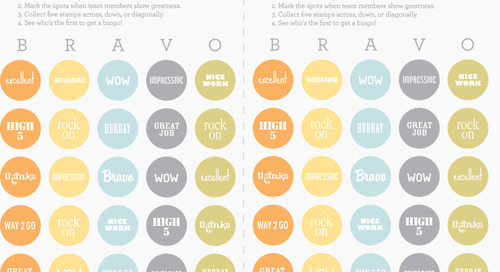 A great recognition training tool for managers! 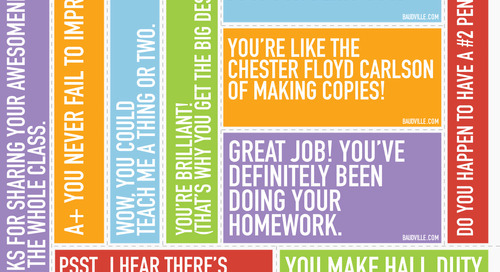 Celebrate your favorite teachers during Teacher Appreciation Week with these humorous sentiments. Just print and post! 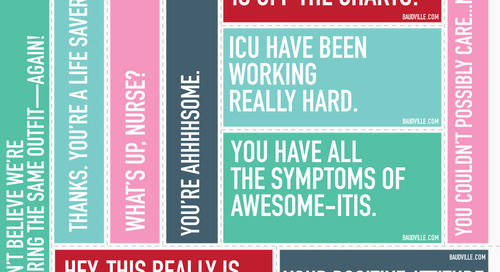 Recognize nurses during National Nurses Week with these fun notes. Sure to get the conversation rolling with ease! 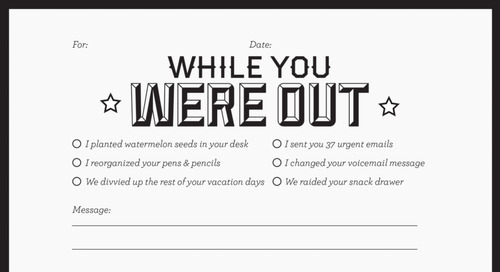 Fun little notes to leave at someone's desk while they are out of the office! 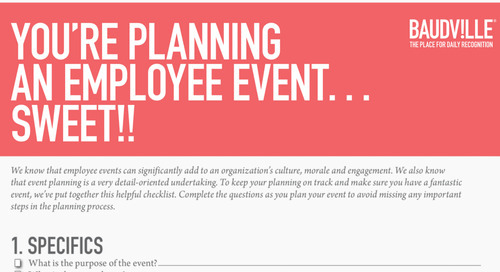 To keep your employee event planning on track, we've put together this helpful checklist. 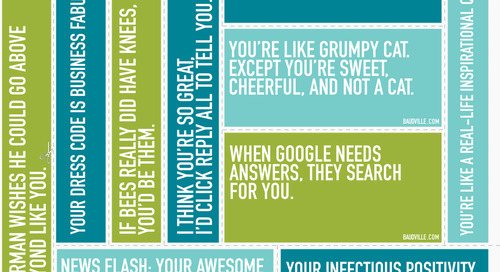 Print and cut to hand out health & wellness compliments throughout your team and organization! 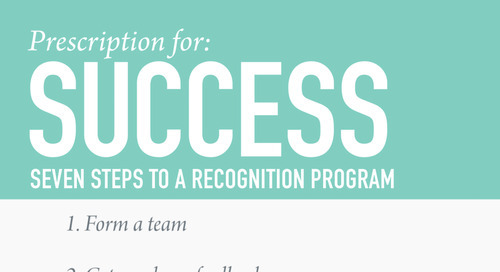 Quick seven steps to help get you started with your employee recognition program! 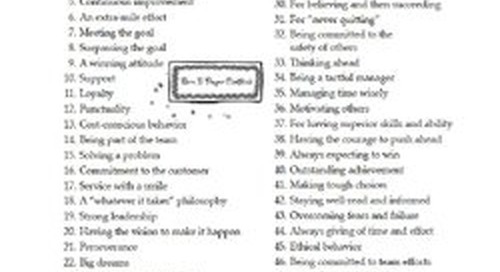 Download our free Office Bingo Card and challenge your team to win!